Home» Posts tagged "bar and nightclub"
Ep. 020 – When There is No Need to Hurry, Don’t Hurry! Often times, security guards rush into a situation where there is really no need to. Of course, if someone is in harms way or the circumstances call for it, by all means – hurry! Ep. 018 – How Many Security Guards Should You Have? Ep. 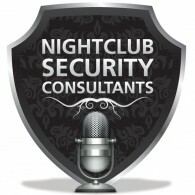 017 – Should You Have Armed Security at Your Venue? Robert and Manny discuss this sometimes challenging and controversial topic. We find that the trend in the industry is that things are getting more violent for bar and club owners. Are you thinking about hiring an armed guard? Live from The Nightclub & Bar Show 2014, we interview Chris Lenahan, Nightclub Design Expert, Author of The Little Black Bar Book, and creator of My Venue Tracker. In this show Robert and Manny recap their experience at the 2014 Nightclub and Bar Show and Interview the President and CEO of Black Diamond Radio, Dave Eames.